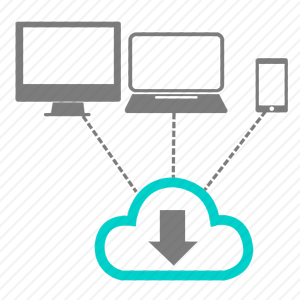 A server allows you to store and access huge blocks of business data at a centralized place. Moreover it helps you to create a backup copy of all your critical data and ensures security measures from online threats. These are the reasons for which, for the past three decades, servers have ousted normal PC storage and have created a business dependency. Be it a simple server or any RAID, NAS, SAN data storage box, data loss instances such as: single/multiple hard drive failure, RAID controller failure, virus attack or file system corruption can be one of the primary causes of loss of your business critical data. Roots data Recovery has one of the best industry success rate of data recovery from failed multi-disk storage devices, damaged hard drives and any other media. However, Roots data Recovery, with expert team of server recovery professionals, advanced tools & techniques, provide completely risk free recovery for various file servers, web servers, domain controllers and application servers. Roots data Recovery give high value to data security & confidentiality and for more than 20 years, we are following strict measures to assure the same. With extensive research and years of experience in dealing with complex data loss instances, Roots data Recovery has developed the capability to recover your data from any instance of physical or logical damage to the server. Our expert team of server data recovery engineers is capable of performing exchange server recovery, SQL server recovery and recovery from troubled windows server, LINUX server, UNIX server and SharePoint server with ease. During the initial consultation, Our server recovery professionals take down the details, such as the situation of failure, your recovery attempts in haste, the RAID configuration used in the server etc. From this information, the engineers analyze the data loss situation and devise the accurate strategy to recover. 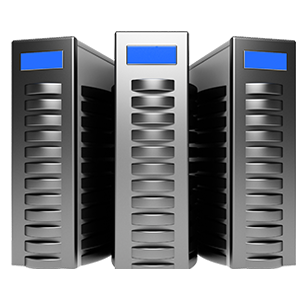 Consultation: During consultation, our expert Server data recovery specialists discuss about the RAID configuration, series of problems that caused data loss and steps you have taken in haste, to prepare the strategy to recover. Diagnosis: Before diagnosis, Roots data Recovery Server data recovery professionals clone all the accessible hard drives from the troubled RAID array to avoid further damage to the data in the original disks. The inaccessible drives are treated in our CLASS 100 Clean Room labs to make them readable for cloning. After cloning our RAID data recovery experts perform technical diagnosis and submit the report along with quotes and time period required to recover the data. Data Recovery: Once we receive your approval on diagnosis report and quotes, we start recovery process. We always perform the Server recovery process on cloned drives. The cloned drives are analyzed for the movement of data and parity strips, in order to develop customized software, stimulating the RAID controller algorithm. This software can help in recovery of the data consistently.